Where is Greenland, Iceland and the Faroe Islands? Those beautiful three islands are in the fascinating Arctic North of Europe, in the Northern hemisphere of our planet Earth. They all are nestled in the Atlantic Ocean. The Arctic Circle passes through Iceland (the Icelandic island Grimsey to be exact) and Greenland, the Faroe Islands are a bit more South. Do I need to bring my passport or a visa to enter Iceland, Greenland or the Faroe Islands? Requirements for passport identifications and travel visas vary widely depending on your nationality. Please research what kind of official travel documents you need and if you require a visa to travel to Iceland, Greenland or the Faroe Islands. If you do require a visa please arrange them yourself or use the services of a travel agent or visa processing company. Do you recommend to travel to Iceland, Greenland or the Faroe Islands during winter? Yes, absolutely! Iceland and Greenland are a true winter wonderland with snow-capped mountains, fresh air and a breathtaking winter scenery! There is nothing better than sitting in a hot pot of steaming warm waters and soaking in the winter vibes surrounding you! Plus: when you are lucky you have the chance to observe the Northern lights dancing on the winter sky! You can even book a Self Drive Tour in winter [link to Self Drive Overview]. Please note: Driving in winter is restricted due to weather and road conditions. Always make sure to check the current conditions before you drive and never underestimate a good old snowstorm and icy roads. You cannot visit all the places you are able to visit in summer (for example the highland in Iceland) but …oh, there is still so much to see and enjoy! If you are lucky you can observe this breathtaking phenomen between end of August to April in Iceland and Greenland. There are no Northern Lights in the Faroe Islands. What should I wear in Greenland, Iceland or the Faroe Islands? We recommend solid hiking shoes to explore our beautiful countries. Warm, weather proofed jackets and clothing including warm hat and gloves are essential for the winter time. You can dress a little ligther during summer months, but we still recommend to bring warm clothes as Nordic summers are different …you know what we mean :-). We recommend rain and windproofed clothing ..and don’t forget your swim suits when your travel destination includes Iceland! Do I need adapters or converters for my electric devices? Iceland, Greenland and the Faroe Islands use Northern European standards with 220V and 50Hz, and a F-type power socket with two round prongs, so you might have to bring an adaptor if you visit from the UK, United States or Canada, for example. What is the food and accommodation like in Greenland, Iceland or the Faroe Islands? The standard of food and accommodation is Nordic or Scandinavian. All 3 destinations are connected to the sea and therefore fish is very fresh and of awesome quality. Sheep meat is also popular. If you are vegetarian or vegan please let us know in advance, if meals are included in your tour. 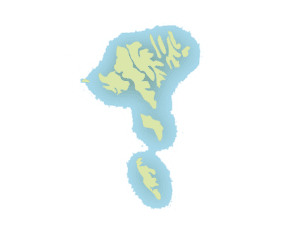 What are the people like in Greenland, Iceland or the Faroe Islands? The people is those 3 destination have their own charming character and flavour. Greenlanders are very much connected to their fascinating Inuit culture and the people of Faroe Islands and Iceland to their heritage from the Viking history. Icelanders are known to be a very creative and modern culture – you can find almost all of us on Facebook and Snapchat 🙂 All nationalities are known for being calm, welcoming and warm hearted. 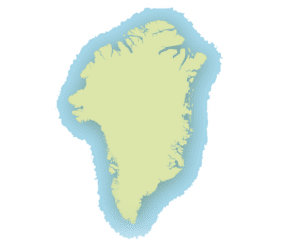 How expensive is Greenland, Iceland and the Faroe Islands? The standard of living is Nordic/Scandinavian and yes …that means it’s probably more expensive than where you come from. Make sure you have enough funds and treat yourself with this special Nordic adventure. Our Self-Drive Tours include car rental, accommodation and a suggestion for an itinerary, that provides you with information about where to go and what to explore along the way. Self-Drive Tours are a beautiful way to discover our destination at your own pace while having the comfort of an organized itinerary. What type of car do you recommend? Do you have family friendly tours, for younger children? Yes, absolutely. Many of our Most Popular Day Tours are suitable for families and children enjoy exploring our glaciers and nature. We love to create aswell Private Tours for families, customized and tailor-made according to your needs. You can request your Private Tour here. Our customers arrive from all over the world and it is not possible to include an international airfare in our prices. But we are glad to help you arrange your flights, just ask for an air quote when making your booking. How do I book a tour with Nonni Travel? Most of our trips are bookable right here on our website. There is a booking window on the right side of each tour page and we recommend that you book your tours there. If the tour you want to book is not bookable online you can call us directly, our phone number is +354 461 1841 or you can send us an inquiry through our contact us form. If you wish a customized tour, please use our form for Private Tours to request a tailor-made offer for your needs and desires. Iceland uses the Icelandic Krona (ISK) and Greenland and the Faroe Islands use the Danish Krona (DKR). Nonni Travel is located in Iceland and all our tours in Iceland, Greenland and Faroe Islands are displayed and processed in Icelandic Krona (ISK). 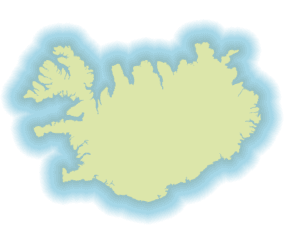 As our currency is probably not that familiar to you, we have added a currency converter at each tour page: you can convert the price in Icelandic Krona into your currency. The actual price in your currency might vary slightly depending on the conversion rate set by your bank. Nonni Travel is not responsible for currency changes between different countries.